Iconographic productions, these DVDs are shot directly from the original art and are word-for-word narrations of the book text. Public performance rights included. 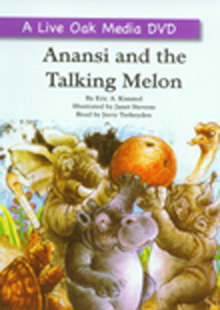 Trapped inside one of Elephant's melons after eating too much, Anansi speaks to Elephant who is convinced he has grown a talking melon.